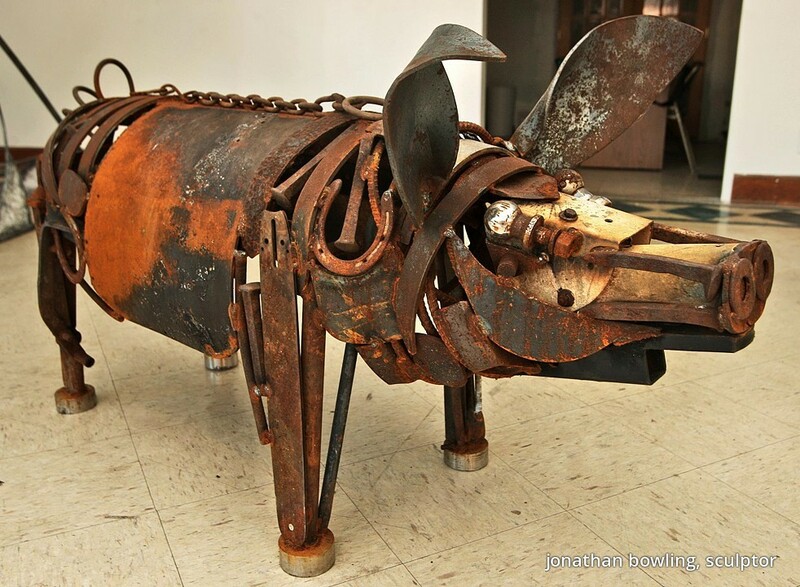 Jonathan Bowling grew up on a small farm in Kentucky, where the Appalachian Mountains melt into the rolling hills of the Bluegrass. His first sculptural efforts were the simple games of childhood--fieldstone castles, a bridle of hay twine, a driftwood armada. He attended the University of Kentucky where he received his BFA in sculpture and a BA in art history. In 1996 he moved to Greenville, North Carolina, to pursue an MFA in sculpture at East Carolina University. Bowling has been working out of his Greenville studio ever since.